The University of California, Davis has released a list of upcoming course information for this spring, and there are many offerings for those interested in occupational health and safety. Safety professionals know how important their jobs are, but they are also familiar with the frustrations of pursuing management buy-in for their programs. Regina McMichael, CSP, CET, says it’s time for safety pros to take their seats alongside decision makers at the top of their organizations. Is the Need for Environmental Engineers Growing? 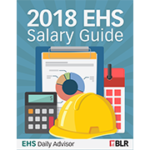 What are the best job prospects for environment, health, and safety (EHS) professionals? Where do they get paid the best and where are prospects dimming? Today and tomorrow we will look at recent trends and projected growth for three jobs critical in the EHS professions. Leadership, loyalty, teamwork, strong communications skills, and technical expertise are characteristics of military veterans. They’re also, according to the American Society of Safety Engineers (ASSE), characteristics of occupational safety and health professionals. ASSE is encouraging military members leaving the service to consider workplace safety as a second career. Keene State College has announced new and updated academic offerings, including a construction safety sciences degree, a minor in sustainability, and a specialization in population health. Are you looking for a career in workplace safety? If you are not, the U.S. Department of Labor (DOL) is trying to persuade you to turn your career aspirations toward safety. Armed with numbers from the Bureau of Labor Statistics (BLS), the DOL is painting a compelling picture. Let’s take a look.